These are some beautiful reflections by my wife Sarah on Christmas. If you’ve never had close friends turn their back on you, then you probably don’t know what Mary felt like. And this wasn’t one friend, this was like maybe ALL but one or two. Mary and Joseph were alone. Who was going to cook for her after the baby was born? Who was going to be there to be excited about how cute he was? Eight days later, there was one person who would be excited. He had read the ancient writings and he knew that God had promised to come to earth in Bethlehem. This was the One. The One who would pay. In that moment, God began to pay for the wrongs that we do every day. It wasn’t about being “good.” Nothing that was simply “good enough” could stand in the presence of God. He is GLORY itself. Nothing with even one little spot can be allowed there, because there is ONLY goodness there. Otherwise, we could still hurt each other in God’s presence. No, he can’t let it be like that. It WILL be perfect. Perfect peace. In that one moment, a sheltered life inside of the womb was born into a dirty room with animals, into the hands of people who had hurt and stolen and even killed with those hands. A baby. A baby who could only cry for milk. Why would God come like that? He chose it. He chose to be normal. Except for one thing: He would pay. But Mary and Joseph believed. They believed that God had a holy perfect place which was the only thing that made sense in a world filled with disappointment and apathy. They were not born only to suffer with age and die. No, they were born to see the perfect face of God, but they could not get there with “good enough” actions. Someone must remove every last action that was not done out of love and thankfulness to God. How could you erase the past? It was too big to pay for. But, maybe you HAVE had someone turn their back on you. The first time it is simply excruciating. The one and only person you love with all your heart. On that last day of Jesus’ physical life, the first day began to make sense. On that last day, the Father that had looked down with love on his Son, turned his back on him and the Son’s heart literally broke with blood and water mingling. Why would the Father do that? Until that moment, as God in the flesh, Jesus was perfect and without even one action of selfishness. But, in that moment, His destiny was realized – to take all the sins of the world and their punishment onto Himself. God then turned his back and poured out His wrath and death into the body and heart of Jesus. Jesus paid for you. Every action that is not pure, was put on Jesus. It wasn’t a symbol or a legend. He died. And he didn’t deserve to. We deserve it. And we will face a physical death, but after that . . .
God wants once again to be with us. Emmanuel. His life. His gift. A real-life story of a boy and Christmas from Ben Houchen, a shepherd and my best bud since middle school. AAAHHHHHHH, I hate all this waiting. I just hate it. And yet, the reality is, this is the season of waiting. Advent is a season filled with waiting, with anticipation. And because we so closely associate the Advent season with the Birth of Christ and that picture of a baby in a manger, it is tempting for us to think that the spirit of Advent is a purely joyous one. But think for a moment about the people of Israel, at the time of the Birth of Christ. Times for these people were not good. Israel was held under Roman occupation, and while this was better than the many exiles Israel had experienced prior to this point, it was by no means a good experience. The Romans knew how to subdue a people, and while they allowed Israel to worship her God, they also demanded taxes (an ancient form of worship) be paid to Creaser, and they subjected the people to many humiliating and dehumanizing practices. The people were waiting, but they had no certain hope of what they waited for, or how long they would have to wait to get it. We see evidence of how hopeless and unresponsive the people of Israel had become in the Gospel of Matthew. Just look at who all notices the birth of the messiah, The Maji and King Herod are the first people of any notoriety to even care that this child had been born. No one in the Jewish Community takes any notice of this boy until he is old enough to amaze them during a visit to the Temple. People were losing, or had lost hope. The waiting, it seems, was just too much for many of them to bear. Advent is a joyous time for us because we are looking backward on a time of anticipation. We know the ending, we see the story, not as it is unfolding, but as it did. The concept, the spirit of advent then, is not one of purely joyous expectation. Advent includes a spirit of anticipation that is laced with negative emotions as well; fear, worry, even hopelessness, these are all part of the spirit of the Advent season. And it is important to realize that, because our understanding of those portions of the Advent season gives us the grace and peace to handle the Advent’s of our own present lives. I once read that Advent is essentially about learning to wait. It is about not needing to know the precise details of what is coming, only that, whatever it is, it is of the essence of sanctification for us. Every piece of it, some hard, some uplifting, signifies the work of God alive in us. We learn in Advent to stay in the present, knowing that only the present, well lived, can possibly lead us to the fullness of life. You see, as humans, we are not complete, we do not arrive, no, we are becoming as we go. Our lives are not meant to be escaped, or avoided. Life is meant to be perused, to be excavated, We are meant to taste and to touch and feel all that there is in life, the good alongside the bad. All of these things are then meant to culminate in our lives in a way that we come to know that the God who created us is with us still. Unto us a child is born, unto us a hope is given, not a hope of ease and indulgence, but of life, life to the fullest! Would you like to enter into that full life with me? Then please, pull up a chair, wait with me a while. We will become as we go. You can read more about Cynnan’s story and how God is using a son to draw his parents nearer to Him. There’s no way I can think of Christmas and not also think of the term “supernatural.” Its definition certainly lends weight to this conclusion. “Relating to or attributed to phenomena that cannot be explained by natural laws,” (The Encarta Dictionary). So what events in the original Christmas story were supernatural by nature? First, there was the supernatural appearance of the angel to Joseph, as is recorded in Matthew chapter two. The angel communicated to Joseph some troubling news concerning Mary. He most certainly would have found out she was pregnant with the passing of time. 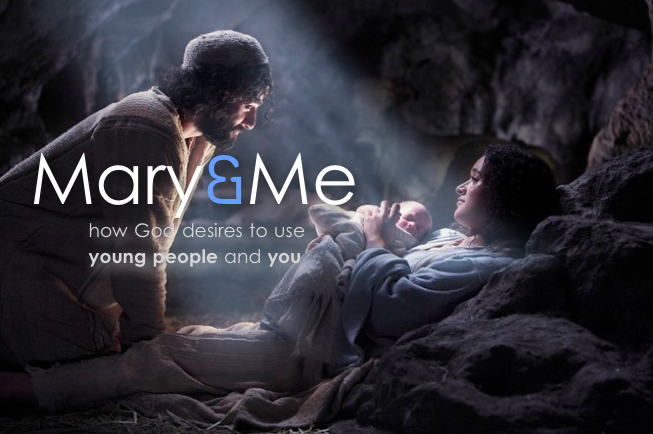 The question that begs an answer is: would he have carried through with staying with Mary without this supernatural experience? Probably not! 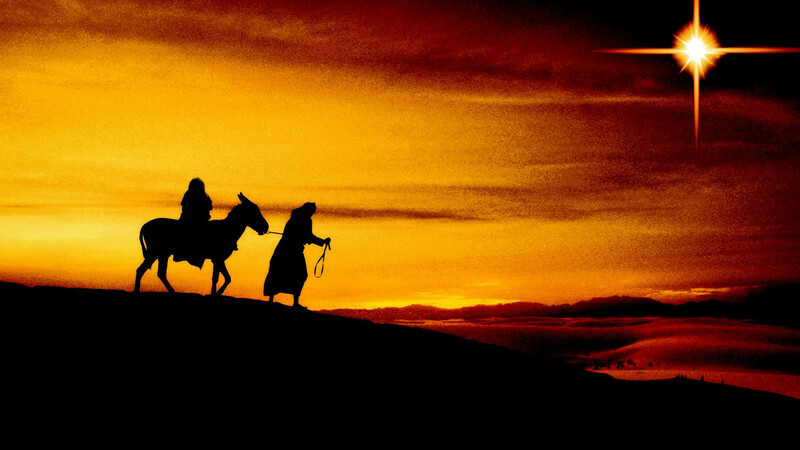 If he would have broken their relationship, then they would not have made the journey to Bethlehem and Christ would not have been born in that town according to Micah 5:2. Thus, the necessity of supernatural intervention! A second example would be the supernatural appearance of the angel to Mary in Luke 1, announcing to her how she would supernaturally conceive a child. This, of course, was unbelievable to her ears. How could such a thing be? However, without this supernatural intervention and Jesus’ virgin birth, He would have been just any other ordinary man and therefore, could not have died on Calvary as the sinless God-man for our sins. A supernatural angelic visit proclaiming a supernatural miracle! Both inherent realities within the Christmas story! Next, we turn our attention to the supernatural appearance of the angelic host to the shepherds on the night of Christ’s birth. They announced a Saviour was born in the city of David. However, take note! What they proclaimed would never have occurred except for supernatural intervention. Think of it! There were so many things that could have easily gone wrong. Mary could have had a miscarriage but she did not. Mary survived the long, arduous journey to Bethlehem at the height of pregnancy. Mary could have given birth to a still-born child but she did not. Yes, the answer to humanity’s greatest need was born! This little baby would be the one Who would ultimately open heaven’s gates to repentant sinners. We must believe Christ went to the cross and He died for our sins. We must repent of our sinfulness and commit ourselves to living entirely for Him. We must believe that He rose again from the grave and is a living Saviour. Have you experienced the supernatural saving power of God in your life? It’s what Christmas time is all about. This morning I was taking care of my baby girl while her mother was washing some dishes. She played with her stuff animal doggy for a few minutes, but she quickly gravitated over to where I was sitting in a chair reading. For the next 15 minutes she was content doing nothing but being near to me. That’s so childlike. As children we love to be near our parents. There is safety, comfort and love in the presence of your maker. You know the Spirit, for he dwells with you and will be in you (John 14:17). I am always with God (Ps. 73:23). When we pass through the waters he will be with us (Isa. 43:2). I [Wisdom] was beside him (Prov. 8:30). So may the Lord be with you if I allow this! (Exod. 10:10). The God of peace will be with you (Phil. 4:9). Solomon (1 Chr. 28:20; 2 Chr. 1:1, as with David 1 Kgs. 1:37). He will declare that God is among you (1 Cor. 14:25). Go in our midst (Exod. 34:9). The greatest expression of God being with us is when He came in the skin of mankind through the person of Jesus Christ. Jesus is called Immanuel, which means God with us. He was with us for only 33-years. But those 3-decades of life impacted the world and the people of the world forever. Indeed, the title Immanuel is appropriate for Jesus—He is “God with us.” Immanuel appears twice in the Old Testament (Isa. 7:14, 8:8) and once in the New Testament (Matt. 1:23). In the Old Testament, the name is given to a child born in the time of Ahaz as a sign to the king that Judah would receive relief from Syrian attacks. The name symbolized the fact that God would demonstrate His presence with His people by delivering them. But, this prophecy also foretold the birth of the incarnate God, Jesus the Messiah, as illustrated in the Gospel of Matthew (1:23). More than seven hundred years passed after Isaiah’s prophecy until Jesus was born. Matthew cites Isaiah 7:14 as being fulfilled in the birth of Jesus (Matt. 1:23). Later in Matthew, Jesus told His disciples that where two or three gathered in His name He would be present with them (Matt. 18:20). At the very end of the Gospel, just before His ascension, Jesus assured them that He would be with them until the end of the age (Matt. 28:20). Also after His death and resurrection Jesus did not leave us alone. He promised to send the Helper—the Holy Spirit—to indwell His children. Forever His Spirit with us always. The book of Revelation concludes with an affirmation that the One called “God with us” will be with us forever: “The tabernacle of God is among men, and He shall dwell among them, and they shall be His people, and God Himself shall be among them” (Rev. 21:3). What an amazing promise of security, comfort and love. God is with you! Let’s be like little children clinging to His cloak, waiting for His words, and resting in His presence. This year Sarah and I are celebrating Christmas with a wonderful gift–our daughter Justus. New life is an incredible blessing. In fact, Christmas is all about new life. In a tiny village two millennia ago God became incarnate through the little Christ child. This baby laying in an animal trough born into a dusty world came for one purpose–He lived to die. Why would anyone purpose to die from birth? First, this was no ordinary baby. Second, Christ’s death lead to an extraordinary opportunity for you to have eternal life. Jesus Christ came into your world to show you what God is like. Jesus is God with skin on. And walking in this world He demonstrated a life of love for sinful humans by dying a criminal’s death on the cross in your place so that you might be forever forgiven. His sacrificial death paves the way for you to have eternal life, if you only turn from your sin and embrace Christ as Savior. The privilege of being parents to our new little life is an awesome illustration of dependence. Our little girl is utterly dependent upon us for everything, particularly: protection, nourishment, and comfort. This is all a small scale portrait of the panorama seen in the Scripture of God’s care for His people, who are also dependent upon Him for provision. Not a one of us is independent of a need for God. This is heard in the message and seen in the example of Jesus Christ. He is the inexpressible gift. Believe on Him and you will have eternal life. Choose to celebrate life with us this Christmas! This was a homemade Christmas, pieced together in love. Sarah and I crafted mosaics candles to give as gifts to family and friends. It was a challenge to figure out how to piece them together, but it was a lot of fun in the process. They are all so different and uniquely beautiful. While making the mosaics I began to think about what this time of the year is all about: the Light. Jesus said of Himself, “I am the Light of the world.” (John 8:12; 9:5) Whoever follows Him will not stumble in darkness. This is such a comfort when we will live in a world that is tainted by evil. The Scripture tells us that Jesus is not only our Savior, but our Creator. The Bible says that He pieced us together in our mothers womb and molds us like clay pots (Col.2:2, 19; Ps.139:13; Jer.18:4-6). As followers of Christ we are a community committed to live by faith, to be known by love, and to be a voice of hope to this world. We are this way because we have the mark of our Master craftsman upon our lives. We come from a broken and fragmented past, worked into a beautifully artful future by the hands of God. Mosaics are a wonder image of how all the pieces fit together to create something that is whole. May the love of Christ and the purpose of His birth fill your home with joy and peace. Merry Christmas!! I just got a new Christmas tree over the weekend. It is big compared to the little Charlie Brown tree that I had. The tree came fully decorated. It is unbelievable. It almost looks too good. The Davis’ were over and helped me put it up, which was a lot of fun. We had the Christmas tunes cranked, tea on the stove, and the shared memories of past Christmas’. Great day. For many of us, lighted Christmas trees awaken our tender holiday hopes and memories: quiet moments of family togetherness, child-like anticipation of special gifts, and shared celebrations across generations. The lights also remind believers of the starlit heavens over the birthplace of our savior, Jesus Christ. While China presents a picture of increasing religious tolerance, Christians face constant harassment and the most intense persecution in the world.What is so Torturous About Making Christmas Lights?Imagine sitting on cold or muddy ground with only a huge box of lights and wire in front of you. Without tools of any kind, you must assemble 3000–5000 lights per day. There is no time for rest or breaks. Quickly, your fingers become numb and bloody. Your teeth serve as your only crimping tools. Even as you work to complete your tasks, you know that you will be beaten severely if you don’t get it all done. Should We Boycott the Sale and Use of Christmas Lights? These Pastors say no; let the lights be reminders to pray. If believers aren’t making lights, they will be mining coal, making syringes or bricks, or performing other forms of hard labor. These believers turn their focus onto the eternally significant message of Christ, and we are asking you to do the same. In the Midst of this Hardship, How Do They Persevere? be allowed to visit their families. 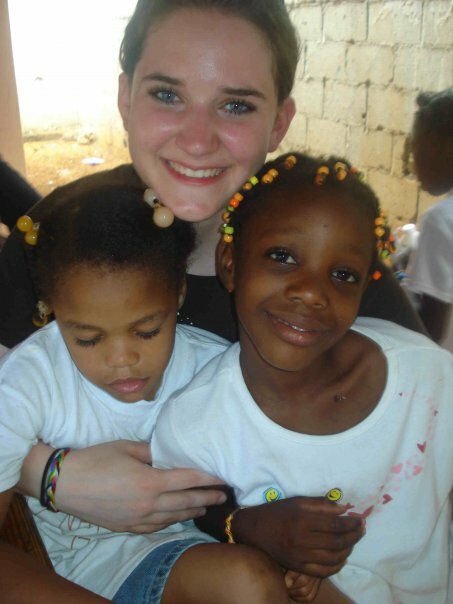 receive good news about their families. be given an extra measure of food. experience God’s comfort, peace, and protection. have the energy to endure hard labor. resist temptations to deny the Lord in exchange for food and comforts. effectively witness to other prisoners and guards. their hearts will be filled with compassion. they will turn to Jesus Christ. ministries continue to flourish while their pastors are gone. Bibles will be protected and new Scriptures provided. meetings will be uninterrupted and safe for newcomers. training schools will not be discovered by authorities. authorities will inform them where their loved ones are being held and allow visitation. clothing, food, and shelter will be provided. they remain healthy and strong. a sense of safety will calm their spirits. neighbors can and will support them. that families will be able to stay together. the children can go to school. the children will recognize their parents’ obedience. WHAT THE STABLE AND THE CROSS HAVE IN COMMON? THE STABLE…IS WHERE JESUS LAID WHEN BORN. 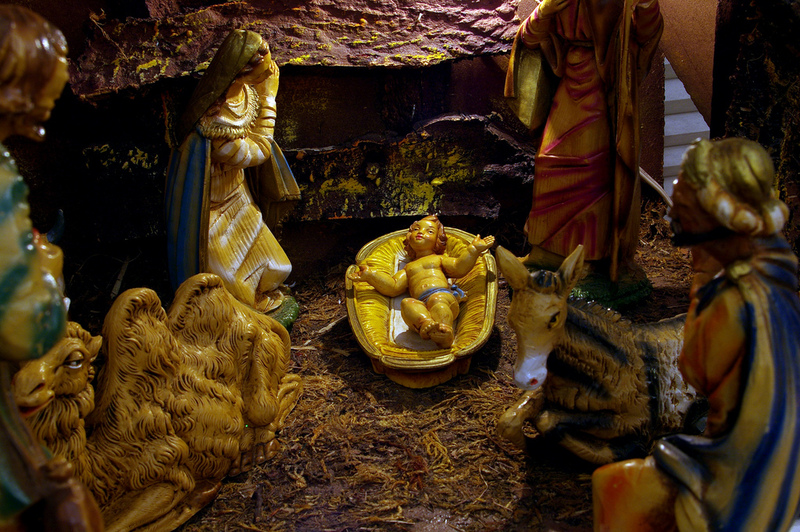 Jesus Christ was born in a humble manger to common parents. While the birth of a child would normally be cause for great rejoicing, the joy this birth would bring is to be short lived. For you see, this child was born to die! I can see this little Baby, lying “Away in A Manger”. I can almost hear Him coo; I can almost see Him jerk His arms, and feel His soft baby skin. 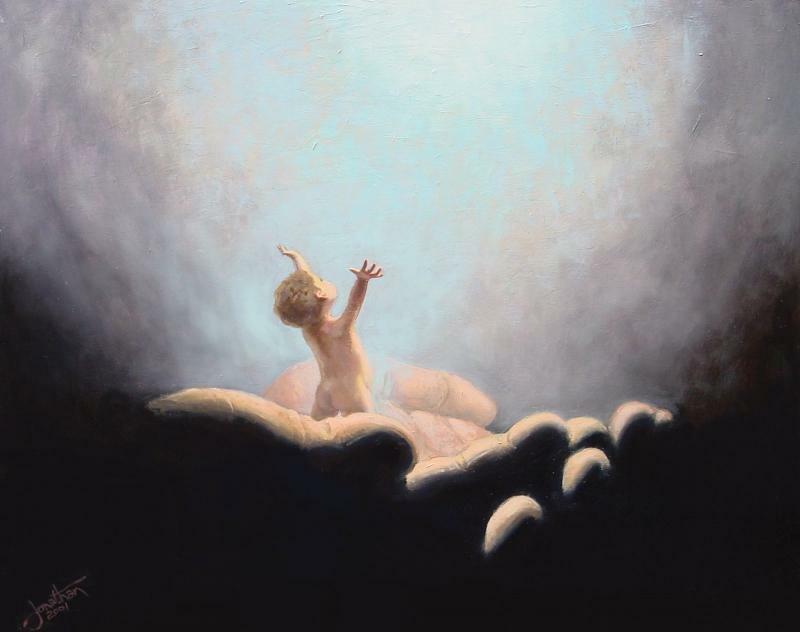 Here He lays, “Immanuel” – God with us. Here He lays — God’s great gift to mankind. Here He lays — the perfect Sacrificial Lamb. And in the midst of the sin of the world is plunged a perfect Baby called Jesus! A star shone brightly on the night of Christ’s birth, but if we look closely, we can see a Cross looming in the shadows! Q: Do you believe in the Jesus’ message of the Stable and the Cross?Q: Have you invited Jesus into your soul? What does the stable, cross and your soul has in common? They are empty without God.